NIGERIA – If there is any critical issue that gives several people in the world and Sub-Sahara Africa in particular serious concern today, it is the issue of health especially as it affects maternal and newborn survival. Nigeria, and indeed the North (especially those in high low income settings) contributed more to death of women and newborn. Sometimes, due to over concentration of health workers in urban facilities, a good number of patients especially those that come from the rural settings, are frequently sighted sleeping on bare floor within hospital facilities for days or even weeks as the case may be. According to Kaduna State Ministry of Health, 814 out of every 100,000 Kaduna women that go to labour room don’t come out alive. Attitude of health workers contributing 16.5 percent, distance 42 percent, cultural issues 28.8 percent, poverty 31.4 percent of that figure (2015). It is important to add here very quickly that, these figure represent those cases that happened or reported at facilities. In Jigawa, a neighbouring state to Kaduna, it is 1025 of 100,000 despite availability of free healthcare for pregnant women and under 5 children. There are some that will happen within communities that no one heard about. This means, women that are dying are more than the figures presented by researchers, Director, Hospital Services, Ministry of Health, Jigawa State, Dr. Salisu Mua’zu told Gobroadsheet. Why would a woman die in a process of giving live has remain a big question among discussants many of whom have lost either a wife, daughter, sister, mother or colleague to maternal death. Death of a woman is a big calamity to a family which ordinarily, nobody ever wanted. Over the years, varying critical stakeholders have expressed and still expressing concern on this development with slight improvements. Evidence to date suggests, however, that only a few of the high-mortality countries had reduced child mortality by two-thirds between 1990 and 2015 (MDG4) and reduce maternal mortality by three-quarters during the same period (MDG5). While maternal survival has said to have improved substantially worldwide since 1990, with a 1.9% annual decline in mortality between 1990 and 2011, deaths continue to be concentrated in sub-Saharan Africa where the lifetime risk of a woman dying from pregnancy-related causes is about 100 times higher than that of a woman in a developed country. In Kaduna, Northwest Nigeria, many reasons have been played up as underlining factors. These include poor funding, poor staffing, poor awareness, culture, environment, poor infrastructural development, inadequate facility, poverty, unsafe pregnancy among others. One area that has not been adequately touched by researchers and media is attitude of health workers towards patients and this is the focus of this investigation with a view to see how it can be explored to save more lives. 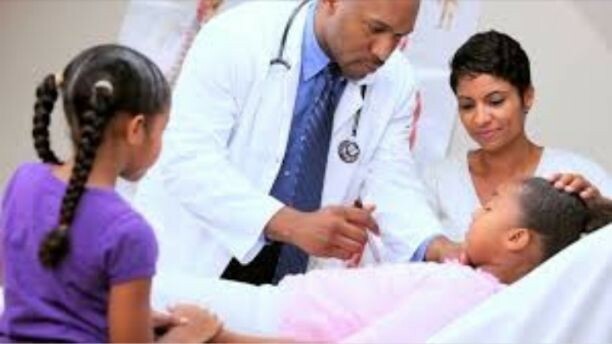 Based on the ongoing discussions among the reproductive age women in Kaduna as regarding trimester experience and reasons for their reluctance to use health facilities during childbirth, the attitude of front line health workers like nurses and health auxiliary at available facilities needed an overhaul because this singular allegation has forced many mothers out of medical facilities which of course, has led to several gory tales. Kaduna is the capital city of Kaduna State geographically located in North western part of Nigeria with population of about 8 million people (2006 census projection). The state has not fewer than 1.5 million reproductive age women spreading across its 23 local government areas according to the state’s Ministry of Health. Farming is the major occupation of the people here with a fraction with white collar jobs within and outside the state. It is also the political melt-pot of Northern Nigeria. In this part of the world, medical heavyweights said, there cannot be enough health workers anytime soon. This is because there is shortage of manpower in the health sector generally. The State government recently recruited 800 critical health workers to be added to those already on ground some 15 years ago. They have already started resuming at varying facilities they have been posted by the State’s Ministry of Health. This number can’t still be enough considering the vacuum created over the years in this sector of the economy. So, pending the time there will be enough health workers or anything close to that, how can the state make use of the available ones to improve the survival of its mothers and children in the state! At various fora, even the educated women have narrated their ordeal in the hand of these health workers thereby leading to change of facility. But a woman in a remote community, who manage to visit the closest and possibly the only facility for the first time is tongue-lashed by her hosts, she may end up never to return to such facility till she give birth to number of children she can. Of course, that exposes her and her foetus to prenancy-related complications and death. Women, who have previously shared their experiences bothering on negligence and poor attitude of front line health workers include but not limited to Zibiah Dabbason Mari, Olubukola Ogunjimi and Jummai Joseph all within Kaduna state believed that, addressing that issue alone will go a long way in solving the problem of maternal complications. “You can imagine when a woman is in labour pain and all a nurse can say is whether she was there when she and her husband were enjoying themselves. Do you think if such a woman survived that delivery she will ever return to any facility again? 32-year-old mother of two, Hajara Muhammed asked. The way forward according to Medical Director, General Hospital. Sabon Tasha, Kaduna, Doctor Kure Samuel is to establish clients/health workers relationship by a way of feedback mechanism. “Already, some facilities are coming up with initiatives to address the issue of poor attitude of front line health workers. For example, there is what we now know as steering committee in Kaduna State. “This committee comprise of government officials, health workers, women right groups and communities, aiming at having a bigger coverage so the issue of maternal health can be taken to the root cause. “The good thing now is that, there is a team joining all the disjointed units together. This development will make it possible for isolated cases to be reported – with the report, the medical unit of the reported facility will be able to trace the time and staff on duty to address it. “Now, the issue of pressure sometimes make patients mistaking good gesture of health workers to bad gesture and such is reported as poor attitude or rudeness of such health workers. “The truth is that, the ratio of health worker to patients is quite overwhelming. Far above the recommended standards by the United Nations. For example, if you have seven persons that need your attention at the same time, which of them will you attend to will depend on the priority of need. But how many person can understand that? “Another important thing is that, women generally will tell you they are strong because they went to the facility and deliver within two hours not knowing that, pregnancy is a risk and each pregnancy comes with its risk. Such women are bound to talk to a nurse or doctor anyhow and that may generate reaction from already overlaboured worker! “So, with inclusion of women groups in the steering committee I mentioned earlier, It is expected that they will take all these realities back to the women in communities so when they are coming to the facility, the mindset that health workers are insultive or rude will not be there. “Also critical is the issue of women who claim their faith will help them to deliver without complications. In fact, we have had series of experiences when some of them would be examined and required to go under knife but they will decline because their pastors have said they will not give birth through operation. In such a situation, what do you do. But when the situation is worse, they will come back for the C-section and at such time, their chances of survival is put at 50/50. “Ordinarily, no doctor will want to go ahead with such a risk but because we have been trained to save lives, we will still go ahead to do our best to save both the mother and her baby. “However, sometimes it didn’t come out the way we want it. There is no doctor that will want his patient die after successful operation. It pains us to the marrow whenever a woman died around childbirth. “A minimum of 2 antenatal is required and best to go at four – for those without issue. Ignorance can complicate the issue whether you know somebody at the facility or not. When there is any unusual changes in your system, the best place to go is hospital even if your brother or uncle is a doctor. “Bye and large, we receive complaints through Head of Department or Matron then to MD and address them as they come. It will also help in guiding against such in the future. “In addition to mechanisms put in place to ensure more women and newborn are saved, I’m working seriously on what we call ‘Hospital Friends’ as effective tool for feedback mechanism. “This people will be able to intervene anytime there is complaint about poor attitude between patients and health workers. They will also help in conveying distressed pregnant women to the nearest facility from where referrer will be made when necessary. “We need volunteers to do that because its sacrificial. It involve sacrifice of time and resources. We cannot allow this to be politicised because the moment this happens, the aim is lost”, narrated the medical expert. Also sharing his experience with Gobroadsheet, a traditional ruler, Village Head, Gwarzo, Gwazo local government area of Kano, Alhaji Muhammed Gwarzo gave an hint on how to improve on patients – health workers relationship. “It is a common thing these days that patients and health workers being confrontational which is not ordinarily suppose to be. In my capacity as traditional leader, I have intervene on this issue in the past. “At a General Hospital, Gwarzo, we don’t have enough health workers and of course, that would be partly responsible for misunderstanding between those that are making medical demands and those that we supply these demands. So, I have to lead other pressure groups to make demand to the state government and we have been given additional eight nurses and three midwives at the facility which we are very happy about. “I believe that will go a long way in making health services available to our people. But we really have to do more in this area and it is a good thing that people like you are doing all you can to save lives. We need to synergize to get this done”, he added. Apart from these, training and retraining of health workers on hospital/patients relationship should be seen as important by the management of both private and public facilities. 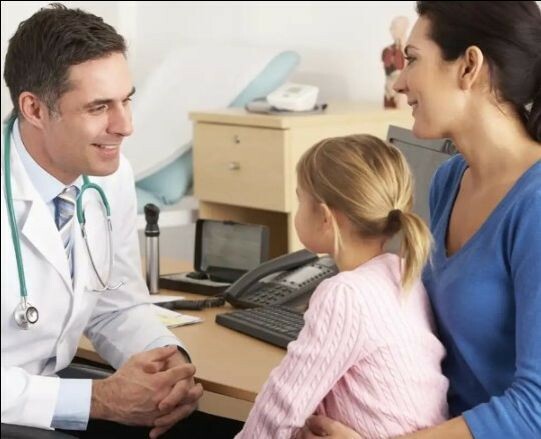 Each medical facility should also have functional help lines where anybody with complaints can reach out to appropriate authority for prompt intervention. If all these suggestions are taken into consideration vis-à-vis the obvious ones, more women, newborn and children will be saved in Kaduna State and that will in turn transform the state into one where pregnancy will no longer be a ultimate risk as it is presently but an asset.